** Please refer Shunbun, Shokou. As if the cherry trees in Tokyo were waiting for today’s new season starts, ‘Sakura hajimete hiraku’, Japan Meteorological Agency have announced officially the start of cherry blossom season at 2:40 p.m. This afternoon. The official announcement of cherry blossom bloom in Tokyo is made by observing ‘sample trees’, which is Yoshino cherryW tree, in Yasukuni ShrineW at Kudan, Chiyoda, TokyoW. The official announcement of the flower blooming is made when five or six flowers bloom of the sample trees. The sample trees of cherry are set according to each administrative divisions as below in Kantō regionW. Ibaraki prefectureW / Sample cherry trees in front of Ibaraki Prefectural Government BuildingW. Tochigi prefectureW / Sample cherry trees within the site of Utsunomiya Local Meteorological Observatory. Gunma prefectureW / Sample cherry trees within the site of Maebashi Local Meteorological Observatory. Saitama prefectureW / Sample cherry trees in Kumagaya Sakura-tsutsumi, located in north bank of Arakawa RiverW of Kumagaya, SaitamaW. Kanagawa prefectureW / Sample cherry trees in Motomachi Park, located in Naka-ku, YokohamaW. This season’s phrase must be easy for those who have been reading our ‘Koyomi’ article in the past. 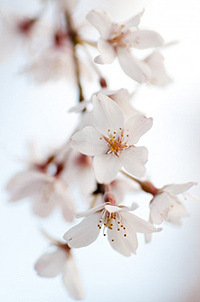 ‘Sakura’ is a Japanese noun for cherry tree or cherry blossom. Followed by the adverb, ‘hajimete’, which has been used a lot in the past phrase meaning, for the first time. The last word ‘hiraku’ is a verb meaning to open, which here, means the opening of the flower, to bloom. So, the meaning of the whole phrase is; the cherry blossom starts to bloom. Easy, wasn’t it? 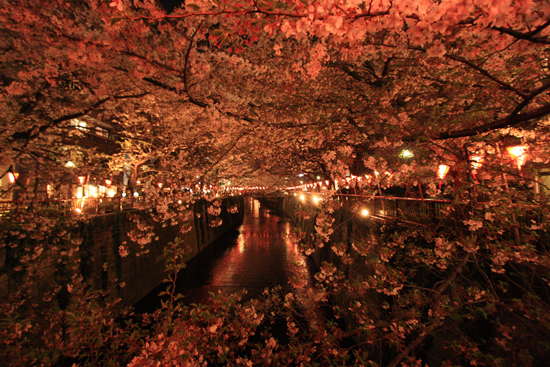 Cherry blossoms at night at Meguro River, Tokyo. 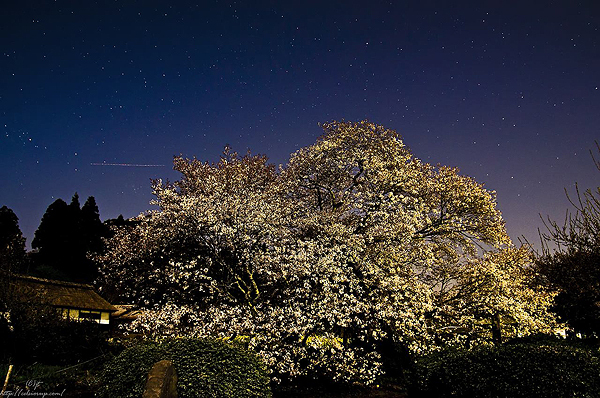 One of the spots now where you can enjoy light-ups of the blossom at night. Address : Toukou-ji, 3-119 Ishito-juku, Kitamoto-shi, Saitama pref. 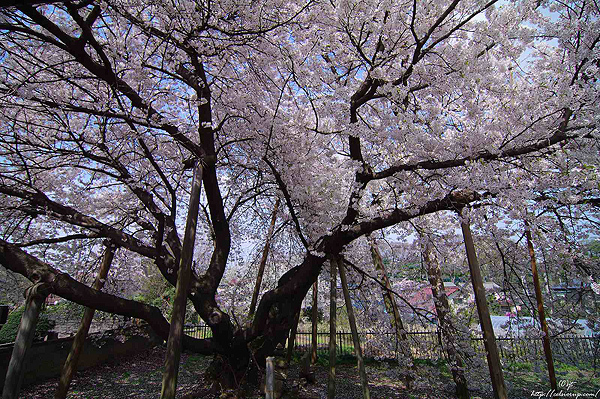 Ishitokaba Zakura, a huge historical cherry tree more than 800 years old. Photo from ‘Celsior up no Jr. desu’. 296 Aza-sakurakubo, Ooaza-taki, Miharu-cho, Tamura-gun, Fukushima pref. 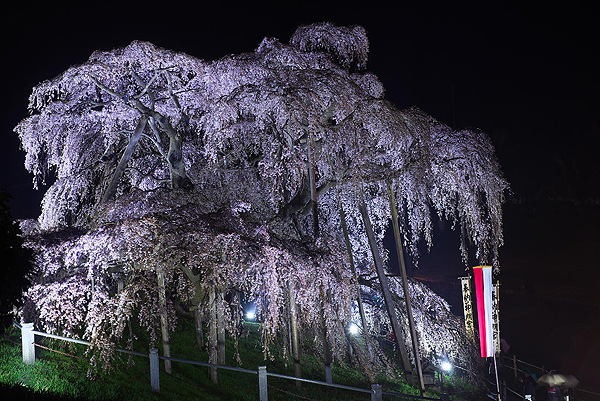 Miharu Takizakura, an enormous weeping cherry tree more than 1,000 years old. Photo from ‘morioka himajin nikk i2‘. 2763 Yamataka, Mukawa-cho, Hokuto-shi, Yamanashi pref. Kariyado-no-geba Zakura – Kariyado, Fujinomiya-shi, Shizuoka pref. 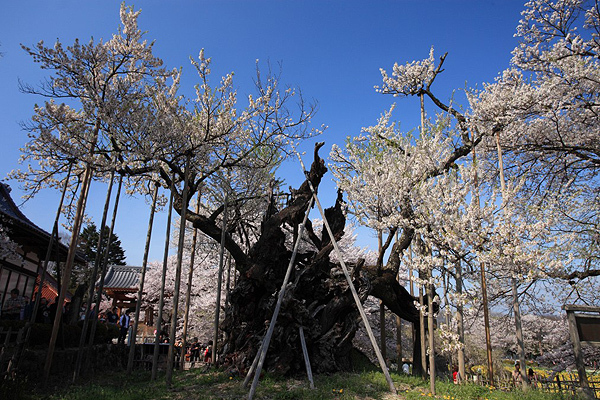 Jindai Zakura, a wild cherry blossom thoguht to be 1,800 to 2,000 years old!! Kariyado no geba Zakura, where Minamoto no YoritomoW got off his horse after hunting by Mt.Fuji. More than 800 years old cherry tree. Photo from ‘Celsior up no Jr. desu’. Usuzumi Park, 995 Aza-joudan, Neoitasho, Motosu-shi, Gifu pref. 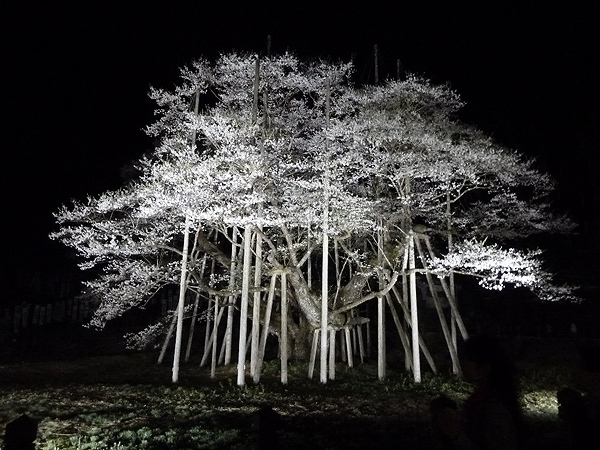 Usuzumi Zakura, more than 1,500 years old. ‘Usuzumi’ means diluted ink, a colour you see drawn in ink paintings of the classical Japanese art, blurred gray. This cherry tree & the blossom has the feature like you see in classical art. Photo from ‘Josephine’s zakki-cho‘. Sakura Ebi is a tiny 4 centimetre-long shrimp with pink transparent body. The name ‘Sakura’ was given to this shrimp because of its beautiful colour that looks just like the cherry blossoms of the season. They inhabit deep in Suruga BayW, were very rare, known as visionary shrimps in Edo periodW. Sakura Ebi. Photo from ‘Ooigawa Port Sakura Ebi Co-operative Society‘ official site. The history of Sakura Ebi fishing has not been so long as it has only started in mid Meiji periodW, when one of the fishermen in Yui, ShizuokaW accidentally caught tons of shrimps while they were near at the surface in their fishing net. It was from then that the Sakura Ebi fishing started in this area. Sakura Ebi fishing is permitted only in Yui Fishing Port in Yui, ShizuokaW and Ooigawa Port in Yaizu, ShizuokaW only during two seasons, from mid March to early June and from late October to late December. 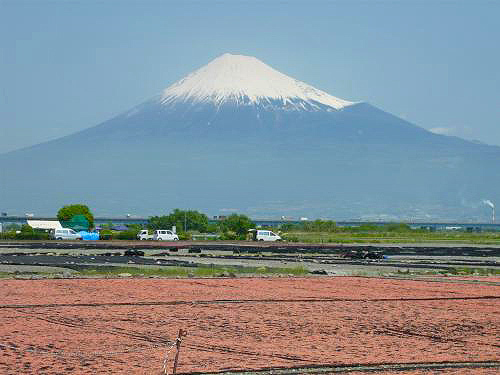 Drying Sakura Ebi at riverbed of Fuji RIverW near Yui FIshing Port. Another sort of ‘Sakura’ viewing. Photo from ‘Oasobi nikki‘. The Sakura Ebi of spring, at the time of cherry blossom, is sweet in its taste compared to other Sakura Ebi abroad, proven with saccharimeter. It can be eaten simply boiled and as fritters. Sakura Ebi fritter. 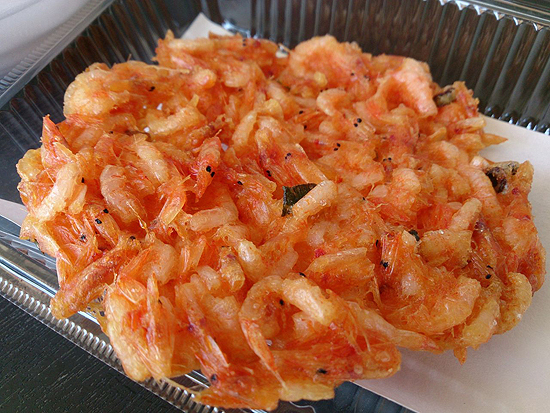 You’d be able to takeaway this tasty fritter in season near the Sakura Ebi fishing ports. Photo from ‘Shokuzai chousatsunin‘. If you have a chance to visit these ports during the Sakura Ebi fishing season, do have a try as well as taking pictures of Sakura-coloured photo of Sakura Ebi being spread-dried on the net.